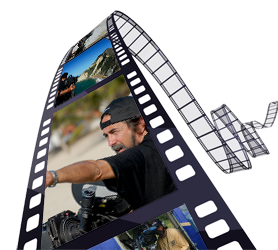 Meet renowned Dominican Film Director and Producer, Fernando Baez. Learn about Dominican Cinema since its beginnings, its evolution, and achievements, and how the industry has become a cultural expression of the country. Fernando Báez, is the Founder and President of Unicorn Films and Grupo Único. He has made more than 250 documentaries. He has been director of production at various TV channels in the Dominican Republic, as well as director and producer of the ecologist documentary series La Imagen Nacional (The National Image). He has won many national and international recognitions and awards as a TV director. He has Masters Degrees in both Cinematography and Film Direction. His film productions include, amongst others, Tiempo para Cosechar (Time to Harvest), Un Pueblo con Alma de Carnaval (A Village with Carnival Soul), Dominican Republic… Sus Ríos, Saltos y Lagos (Dominican Republic… Its Rivers, Waterfalls and Lakes), and the newly released feature film El Rey de Najayo (The King of Najayo).